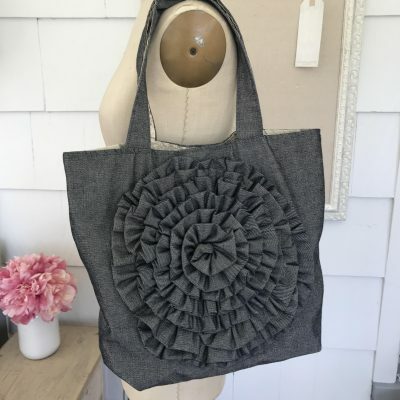 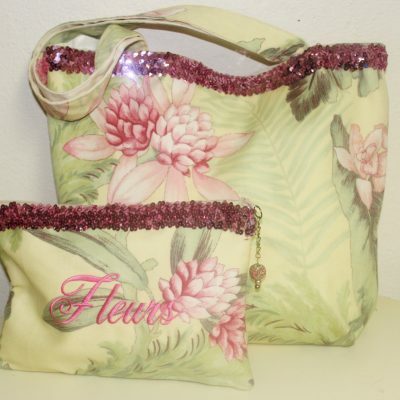 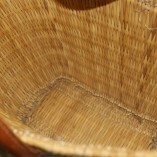 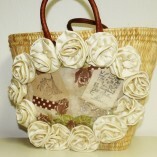 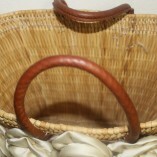 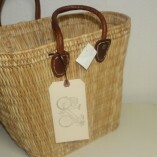 Straw Tote with Paris Trim. 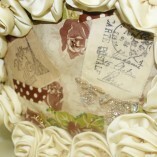 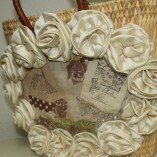 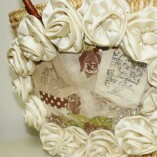 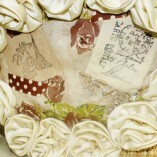 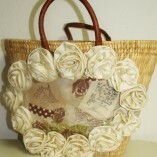 A vintage handkerchief layered with Paris trim, beaded lace and handmade shabby flowers cover the front of this basket tote. 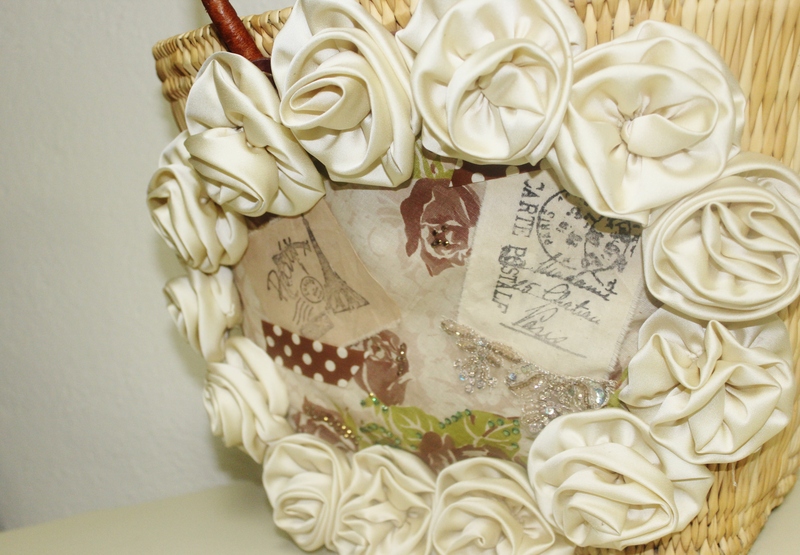 Aprox dimensions: 10 x 12 x 5 ” wide.